Council's Immunisation service provides infant, child and adult immunisations as part of the National Immunisation Program (NIP). Council provides vaccinations to keep your children protected against diseases such as Diphtheria, Tetanus, Pertussis, Poliomyelitis, Pneumococcal Disease, Haemophilus Influenza Type B, Hepatitis B, Varicella (Chickenpox), Meningococcal Disease, Measles, Mumps, Rubella, Rotavirus, Human papillomavirus, Influenza and other diseases as scheduled. The National Immunisation Program Schedule lists the routine vaccines provided free under the National Immunisation Program. Wycheproof 1pm - 1.30pm (370 Broadway, Wycheproof ) This session is by appointment only. (Please phone Buloke Shire Council on 1300 520 520 prior to 4.00pm on the day before). Immunisation Coordinator Genevieve Foott 0458 392 420. Year 10 (age 15-16) federal funded program commences April 2019. Menactra - Meningococal ACWY vaccination - 1 dose. Available at Council sessions - please contact immunisation coordinator or nurse to discuss needs and to order appropriate vaccines. Council does not provide immunisations to members of the public that do not fall within the National Immunisation Program (NIP). Meningococcal disease is caused by the bacteria Neisseria meningitidis. There are 13 known sub-types and of these, 5 are currently vaccine preventable (B and A, C, W, Y). In 2018, the main serotypes causing disease in Australia were B, W and Y, with variations noted by state. 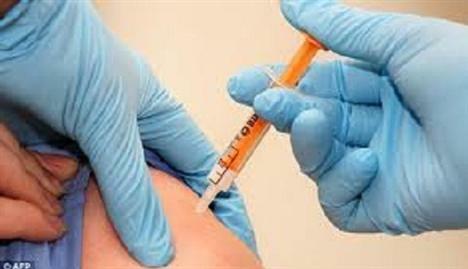 Vaccination against Meningococcal C has been given since 2003. There are vaccines available for protection against meningococcal B and meningococcal ACWY. Meningococcal ACWY - There are currently three vaccines (4vMenCV) available for immunisation against meningococcal A, C, W and Y. A single dose of Nimenrix® is currently provided for free at 12-months of age (since July 2018) on the National Immunisation Program (NIP). Meningococcal ACWY vaccine has been available for teenagers in year 10 in a state based program and will be available from April 2019 on the NIP for 15-19 yr. age group – given as school program in year 10. A private script is required to purchase the meningococcal A, C, W, Y vaccine if persons wish to be protected but do not meet the criteria on the NIP. A single dose is required after 12 months of age. There are currently 2 vaccines available on the private script for the protection of meningococcal B disease. 2 doses are needed – spacing depends on age – Bexsero is the only brand licenced for use under age 10. If you would like a copy of Immunisation Records for immunisations that have been administered through a Buloke Shire Council immunisation service please download the Immunisation Request Form. Please allow 10 days for completion of record. Council cannot provide records of immunisations given by doctors or other providers. Many immunisation records are available by contacting the Australian Immunisation Register on 1800 653 809. For more information please contact Council’s Immunisation Coordinator or Environmental Health Officer on 1300 520 520.